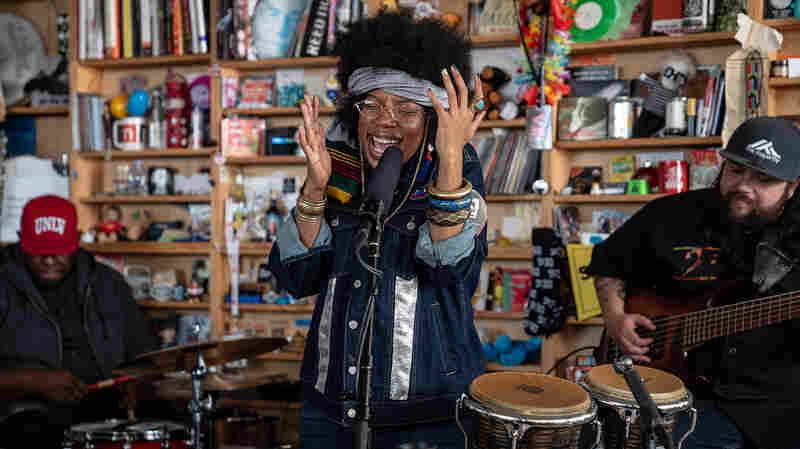 Alice Smith: Tiny Desk Concert The beloved singer-songwriter premiered three new songs while turning NPR's headquarters into a Harlem speakeasy. Alice Smith is umami for the ears. 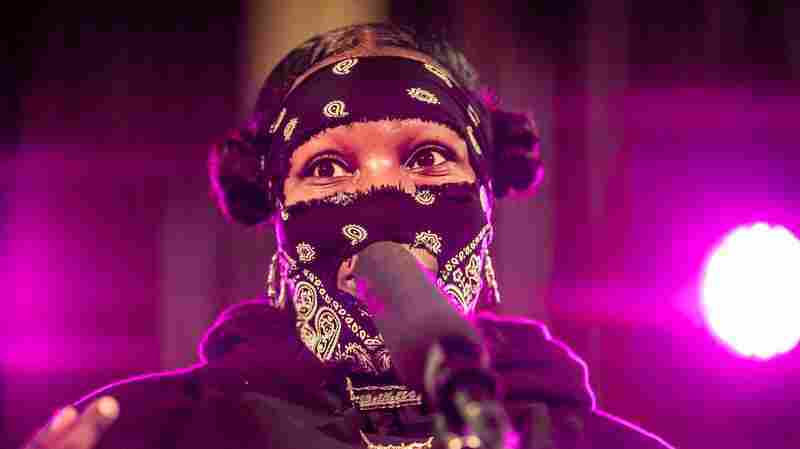 From the opening licks of her Tiny Desk set, the eclectic singer-songwriter turned NPR's spacious D.C. headquarters into a Harlem speakeasy. 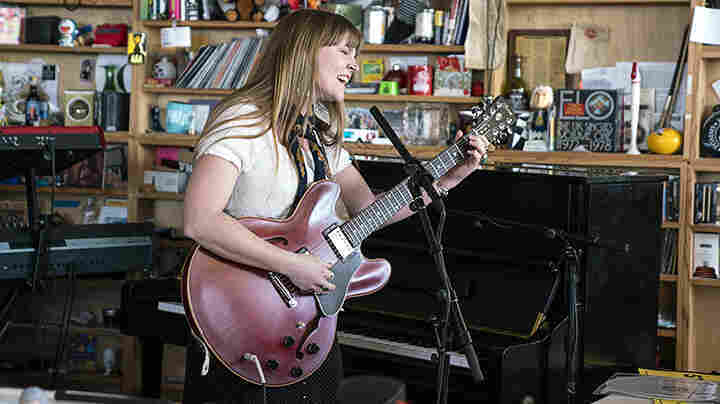 For those not familiar, Smith made a big splash among true-school heads in 2006 with the release of her debut album, For Lovers, Dreamers, and Me. 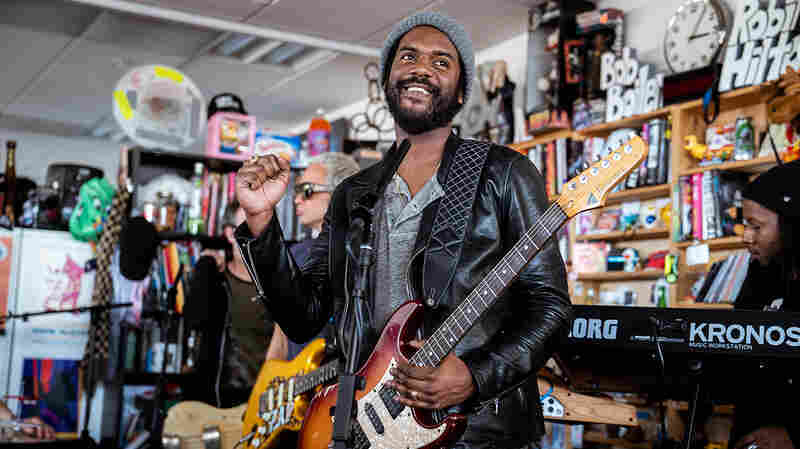 That record, whose title is a play on "The Rainbow Connection," brimmed with an arcane magic, and it created a legion of lifelong fans. 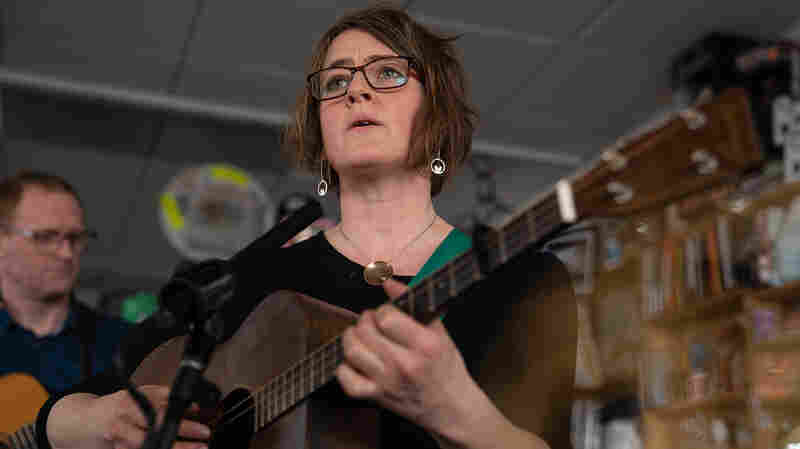 Smith's live performances usually highlight songs from For Lovers, Dreamers, and Me, her 2013 album, She, and her repertoire of cover songs. 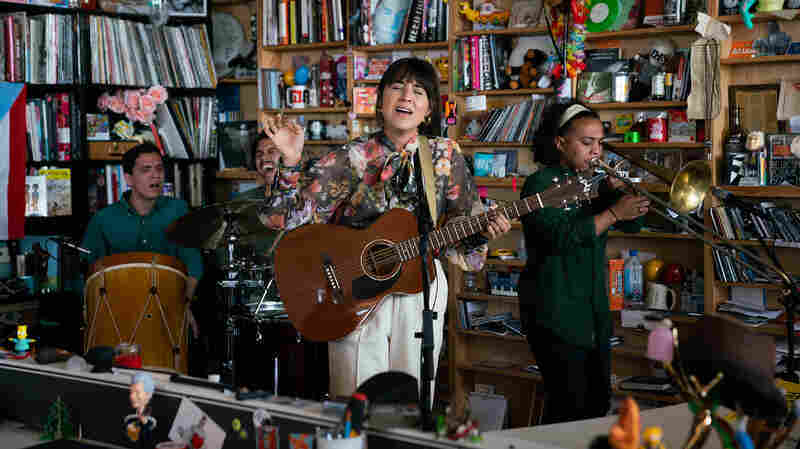 But for her Tiny Desk performance, Smith gifted us with three stunning song premieres that left the room entirely in her thrall. 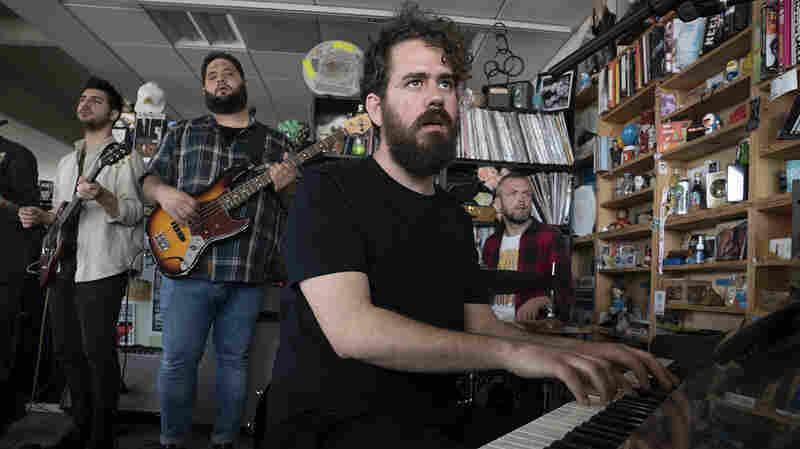 The first song, "Mystery," feels like walking into the home of that friend of yours who is clearly more worldly than you, where there's always a cool breeze, no matter the season. 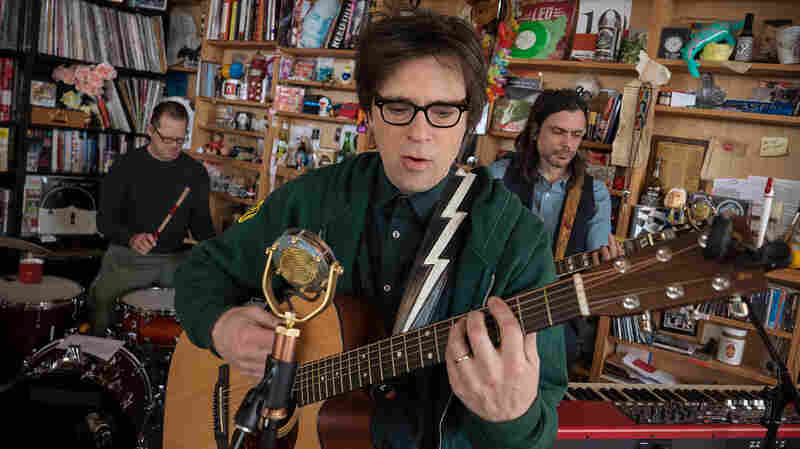 The second song, which is so new that it doesn't have a title, exudes the liminal uneasiness of being out of tune with yourself. The wisdom of the song draws from the notion that the top of Maslow's pyramid is found within. The closing "Something" is an undulating soul search that attacks and recedes like a cloudy beach morning. 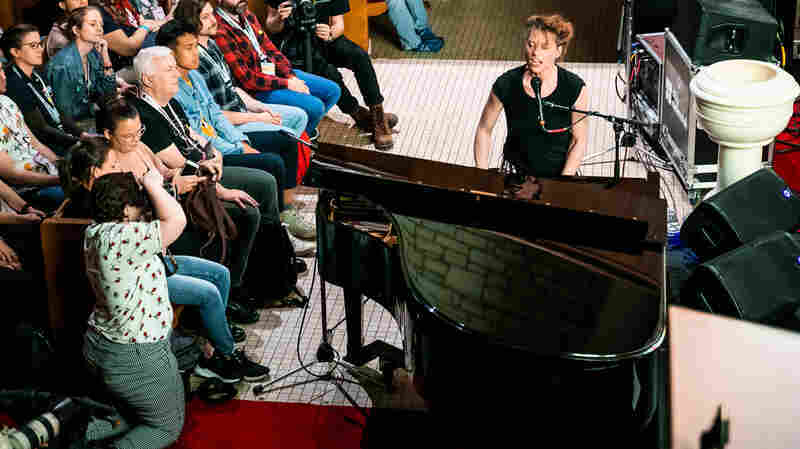 Smith was unabashedly in her pocket here, alternating between falsetto, tremolo and touches of jazz. 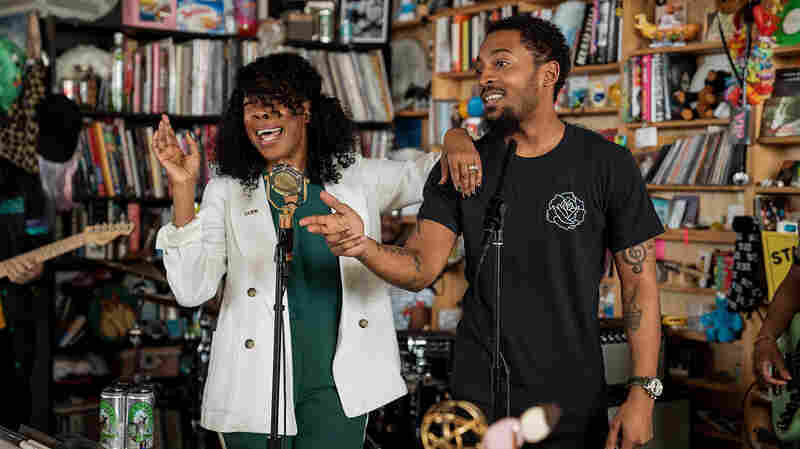 This dash of Broadway at an office cubicle is what makes the Tiny Desk series so special.